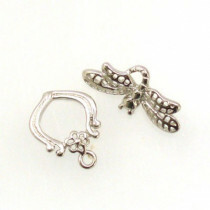 Pack of one shiny silver brass dragonfly shaped toggle clasps. 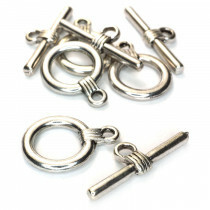 Toggle Size: 28x12mm, Bar Size: 16x23mm. 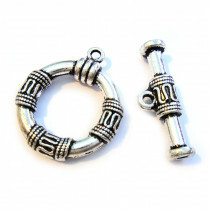 Pack of three antique silver colour small Tibetan silver toggle clasps. 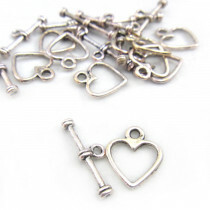 Toggle Size: 17.5mm, Bar Size: 23mm. 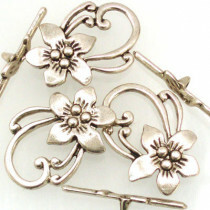 Pack of three antique silver colour flower shaped Tibetan silver toggle clasps. 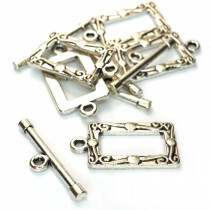 Toggle Size: 20x28mm, Bar Size: 30mm. 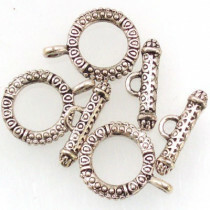 Pack of ten silver colour Tibetan silver Toggle Clasp. Oval Size: 10x8mm, Tbar: 17mm, Hole Size: ~1mm.